Mission style Oak Bed made from quarter sawn oak panels. 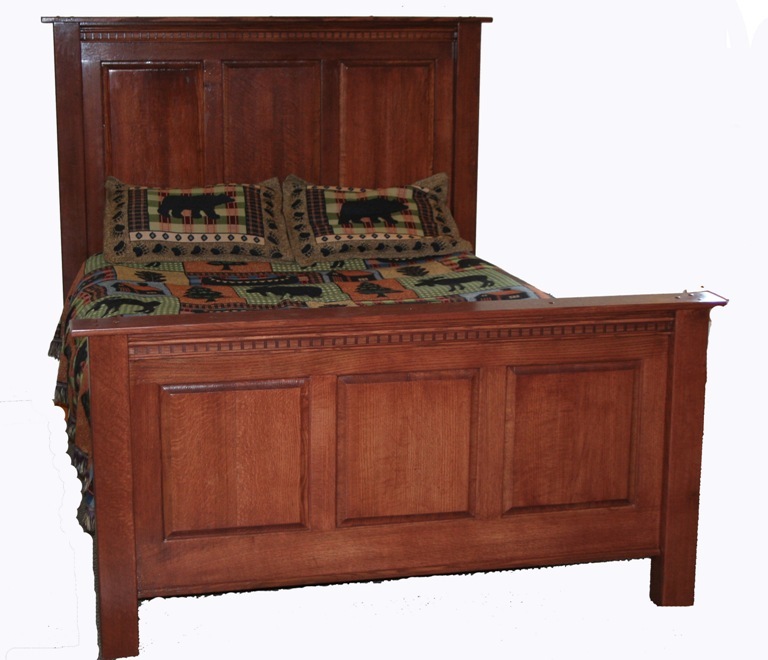 This Amish inspired bed design comes in all standard sizes, and be custom stained to what ever color you prefer. Ships nationwide, for free, and is very easy to assemble. The package will include only four pieces! 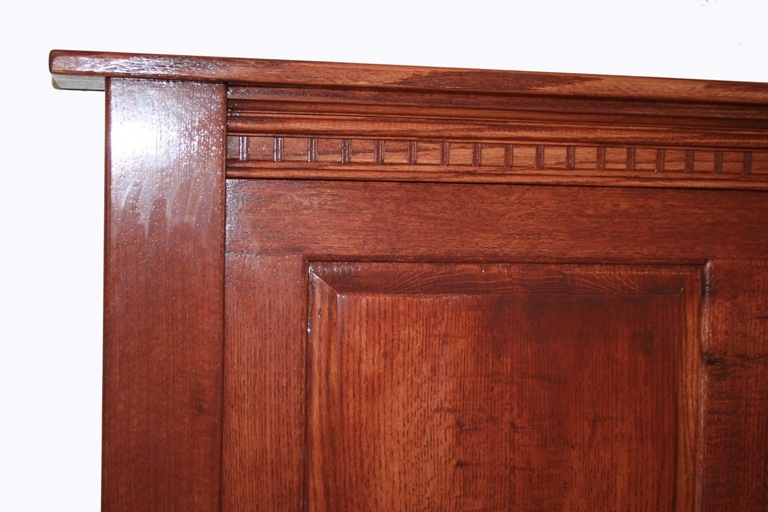 (Headboard, Foot board, and two side rails pre-drilled for simple and easy assembly.